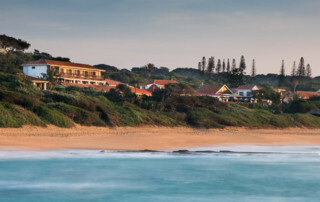 Pumula Beach Hotel, with its stunning views of the Indian Ocean, has the best seaside location on the Kwazulu Natal South Coast. 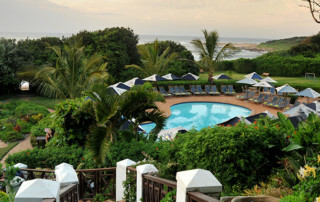 Situated 100kms south of Durban and surrounded by indigenous coastal vegetation, it is the ultimate wedding venue. Charming and intimate, the highest levels of personal service and excellent cuisine are provided. 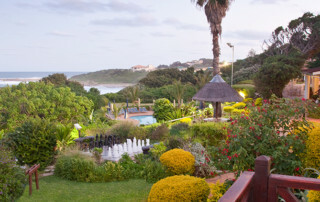 In addition to this a selection of comfortable accommodation is available, which includes both family and double/twin rooms with sea or garden views. 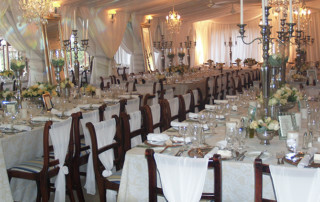 With our extensive experience in wedding co-ordination, we will ensure that your special day is a dream come true! Please note that as we are a small establishment, the wedding party will be required to book the entire hotel consisting of 62 double rooms (120 guests), for the weekend (Friday and Saturday night). This would give you the privilege of total privacy and the opportunity to enjoy all of the hotel facilities with your family and friends.